As some areas can be chilly, we recommend bringing a sweater along for the excursion. You'll depart from Santiago on this full-day excursion to the Pacific Coast. Pass through the beautifully groomed vineyards of the Curacavi and Casablanca valleys before arriving in Valparaiso. Valparaiso, Spanish for Paradise Valley, is a cultural hotspot that serves as one of the country’s most important seaports. The entire city is recognized as an UNESCO World Heritage Site for its intriguing cobblestone labyrinth of streets, historic buildings, and ancient funiculars along steeply sloping hills. From the 21 de Mayo lookout, you'll enjoy spectacular panoramic view of the city and harbor. Your guide will point out some of the more interesting sights and will be happy to answer any questions you may have. 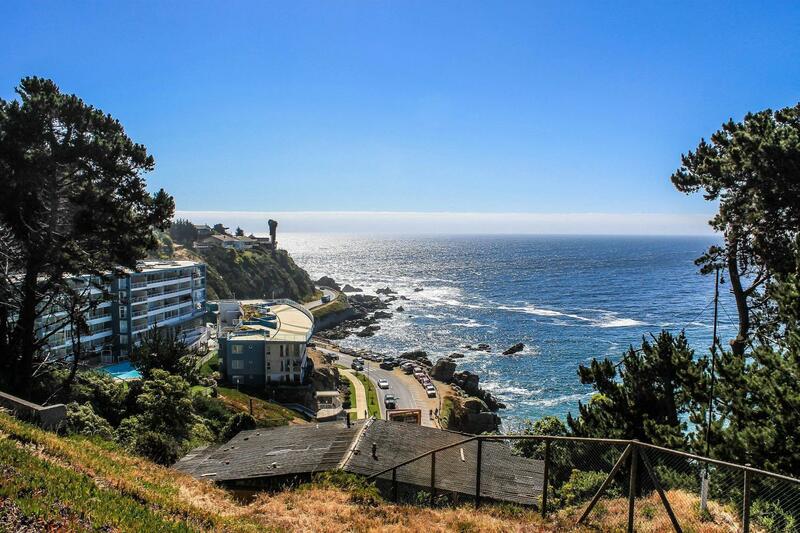 Next, you'll visit the garden city, Viña del Mar, home to the most-visited beach on Chile’s central coast. The city boasts beautiful parks and gardens, and miles of sparkling beaches. See the Presidential Castle, Liberty Avenue, the 1930s Casino, and various classic century-old mansions. As a part of the experience, you may want enjoy lunch at a delightful Viña del Mar restaurant (optional, not included). Wonderful trip and excellent guide (Pamela) and driver (Marco). I had a very good day although the weather was not great for photos. The guide was knowledgeable. Lunch was lovely, excellent food but the restaurant got very busy (it was Sunday) and service slackened off during the meal. A good range of attractions was covered and timing ran like clockwork. Well done. Would recommend this tour to anyone on a tight schedule on Santiago. Terrific guide. Great sense of humor, really helpful and nice. Couldn't ask for more.